We can all get so busy during our week that it can be hard to stay on track with our healthy eating. Skip the takeout and delivery by implementing these few tips that will show you how to meal plan and prep your food in a way that works for you and your schedule. Prepping a ton of meals into separate containers works great for some people, but I’ve never been a big fan. With this method, you are able to always eat fresh and change your mind if you want to, but it also makes cooking WAY easier and quicker #WinWin. Have a sheet for meal planning and for grocery shopping. While looking at flyers (I use the flipp app) write down ingredients that are on sale that you like using. Incorporate your sale ingredients, what needs to be used up in your fridge, and your weekly schedule and make a basic meal plan while at the same time completing your grocery list. Sign up for bimonthly emails so you never miss a post or giveaway! Plan for quick and easy meals on evenings that you’re busier, and make “nicer” meals on more laid-back evenings. If you have the same kind of breakfast most days there’s no need to write it all out, just make sure everything you need is added to your grocery list. Make sure you check your fridge and freezer when meal planning so you can use up your food before it goes bad. 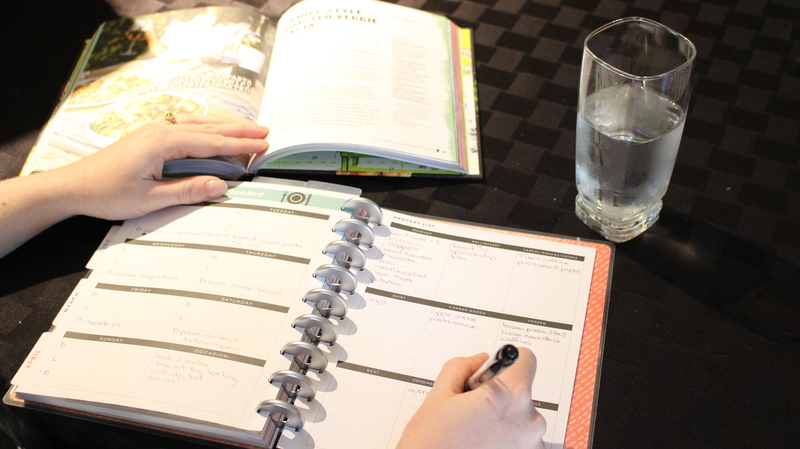 I recently learned this method from one of Benny Martin’s Epicure Workshops and adapted it to fit in my usual planning routine. She showed us this basic method using her Epicure products, which are really tasty btw, and it makes cooking during the week SO MUCH EASIER. Check out her mouth watering FB group for meal ideas. I recommend doing this as soon as you get home from grocery shopping, but you can also find a day of the week that works best for you. I know if I grocery shop and let it slide it might not get done, so every Sunday or Monday I bring out my planner, plan for the week, meal plan, grocery shop, and food prep. The whole process takes me roughly 3 hours from planning the week all the way through to finished food prep. Wash all of your fruits and veggies. 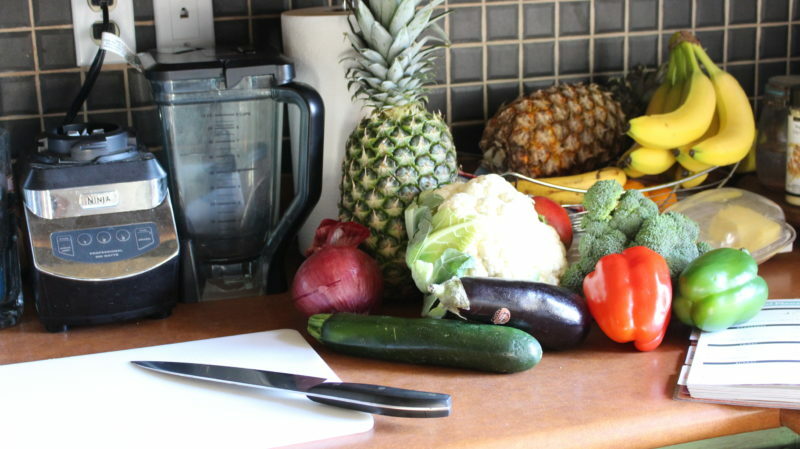 Cut your fruits and veggies how they need to be cut for your meal plan and place them in air tight containers. If you eat meat, pull out any meat that may need to be defrosted, and precook any protein that you want to precook. Make sure you have a very air tight container for your onions, otherwise your fridge will smell like onions. Store your spinach or lettuce with a piece of paper towel in the container/bag to absorb the moisture and keep your food fresh. Change out the paper towel as needed. 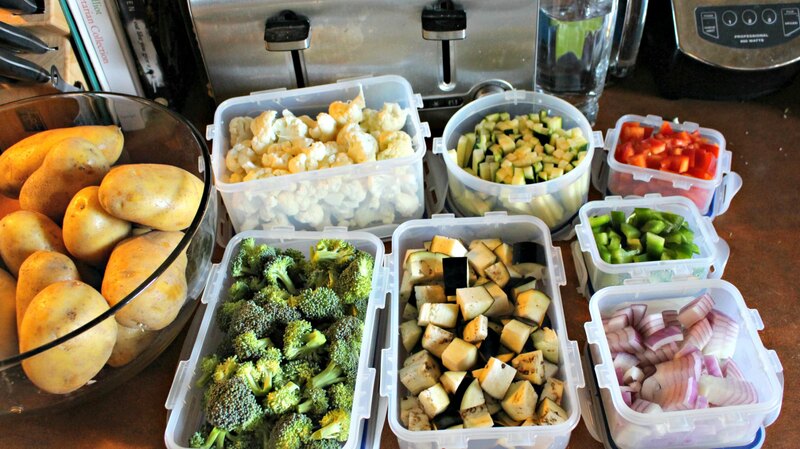 Generally, the cut veggies and protein lasts for 4 days in the fridge when in air tight containers. Now that you’ve done your meal planning and food prepping, cooking will be much much easier and faster. 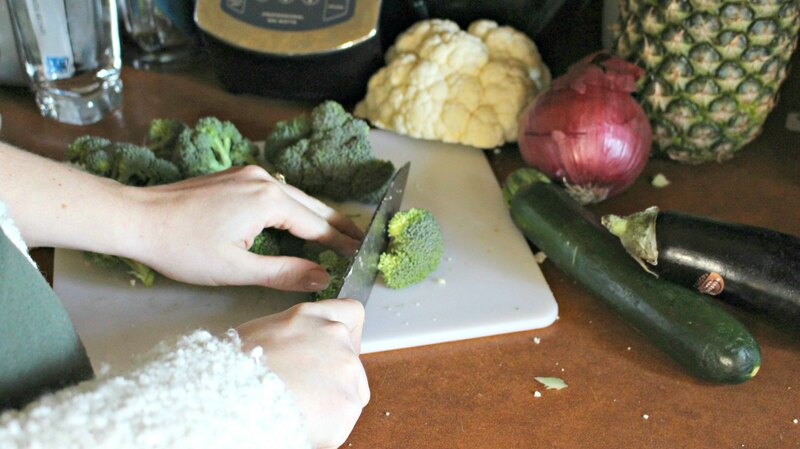 Whenever you need to cook a meal there’s no need to cut and deseed the veggies, all you have to do is grab your ingredients, cook it up, and eat!